The modern consumer spends most of his time on a computer. They do their shopping, their socializing, and their vacation planning all through their computer or tablet. With the changing habits of the consumer, modern marketers must also adjust how they reach their audience or they will lose those customers altogether. 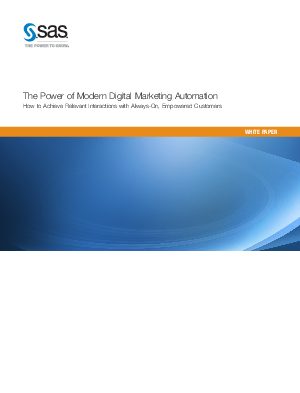 Download this whitepaper and learn how to reconnect with your consumer base and see the true power of modern digital marketing automation.